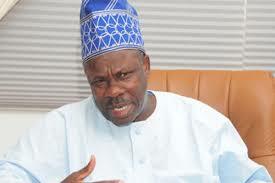 Governor Ibikunle Amosun of Ogun State has been declared as the winner of Ogun Central Senatorial District primaries of the ruling All Progressives Congress (APC). This was after the governor polled 56,101 votes. The result was announced on Sunday by the Chairman of the Monitoring Committee, Colonel Abubakar Chiroma retired. The party members also on Sunday elected its flag bearers for the Federal House of Assembly and State House Of Assembly seats. Lekan Mustapha with 52,370 votes won the senatorial ticket for Ogun West while the Chief of Staff to the governor, Tolulope Odebiyi won the Ogun East senatorial district with 48,134 votes.